There was probably once a vast repertoire of zoomorphic bronze utensils such as this, but because of the Chams' turbulent history, surviving examples are rare. 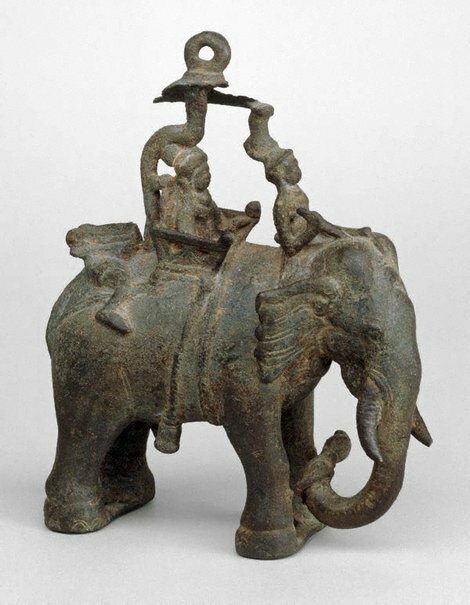 The Chams used elephants in battles and ceremonies, and also supplied elephants to the Chinese for imperial processions. This sharply observed piece demonstrates once again the use of bronze prototypes for ceramic traditions; the subject is popular as a ceramic form throughout mainland Southeast Asia. The Asian Collections, AGNSW, 2003, pg.298. Look , 'The Centre for Asian Art Studies', pg. 25, Heidelberg, Sep 1998, 25 (colour illus. ).